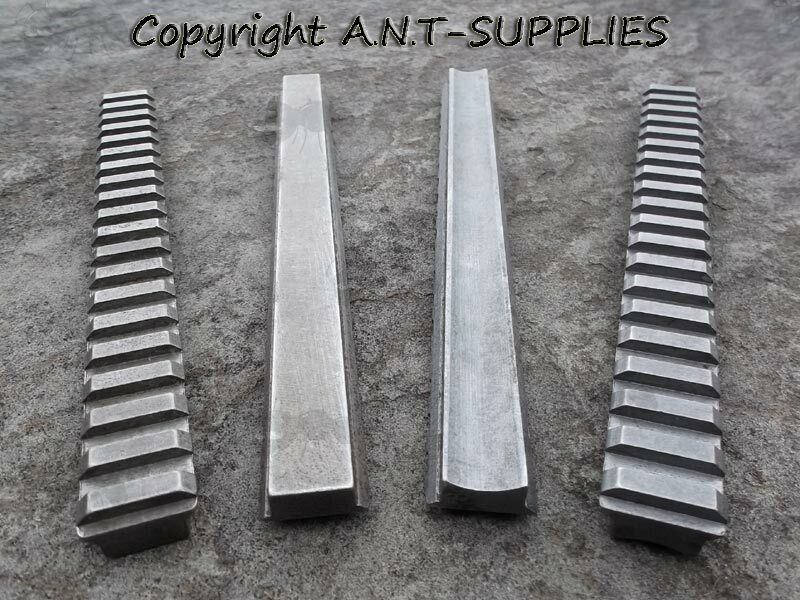 20mm wide sight base rails. 19 slot '1913' picatinny / weaver style rail. Made from steel ~ 45#, 1045, S45c. 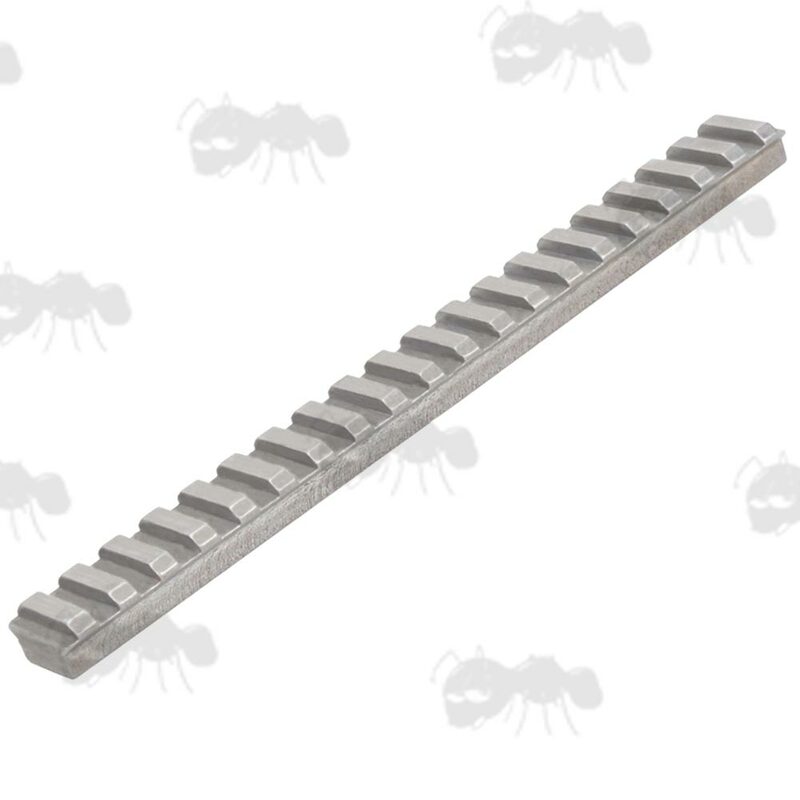 The rails may have a few burrs and sharp edges that may need filing. 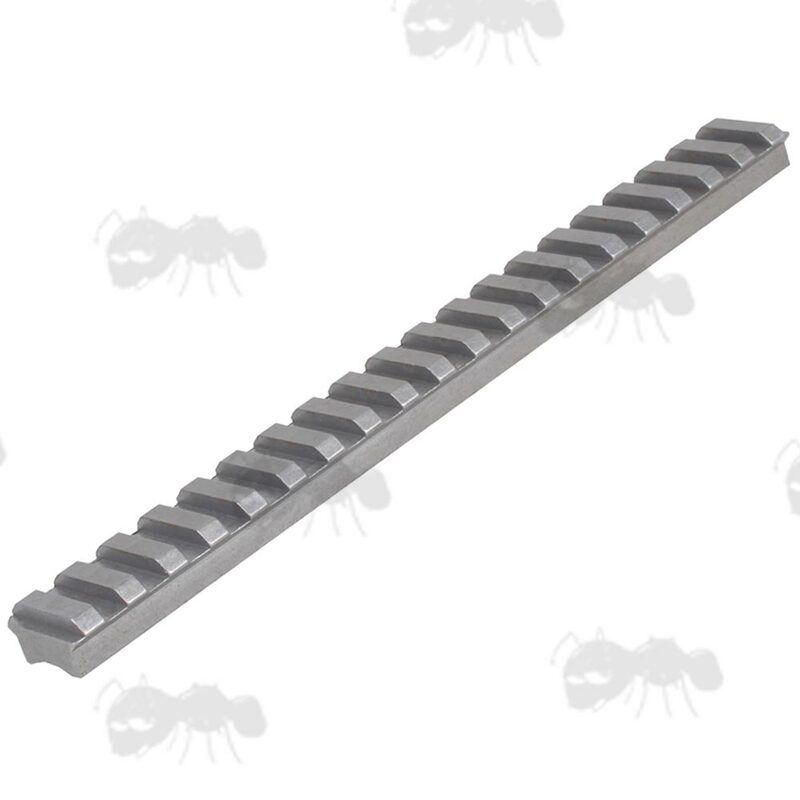 The current batch of flat rails need more work than usual, so we have got them at a lower price and past on the saving. To apply a finish you would simply need to clean the rail with machine oil first. You can cut it to the length required, and it will need drilling to fit. The curved base rail fits approx 20mm diameter cylinders.